MSRP $158,041. 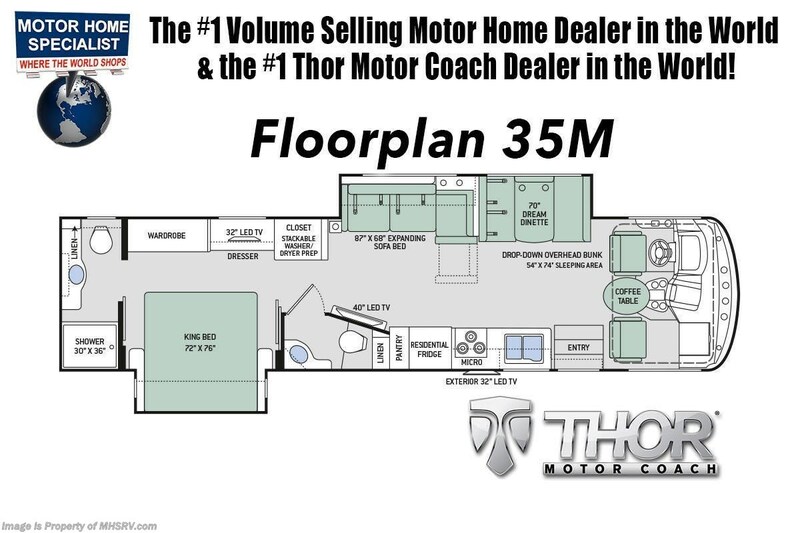 New 2020 Thor Motor Coach Hurricane 35M Bath & 1/2 is approximately 36 feet 9 inches in length with 2 slides, king size bed, drop-down overhead loft, exterior TV, Ford Triton V-10 engine and automatic leveling jacks. Some of the many new features coming to the 2020 Hurricane include all new exterior graphics and partial paints, multipule USB charging ports throughout, metal shelf brackets, backlit Firefly multiplex entry switch, Winegard ConnecT WiFi extender +4G and much more. This unit features the optional partial paint exterior and child safety tether. 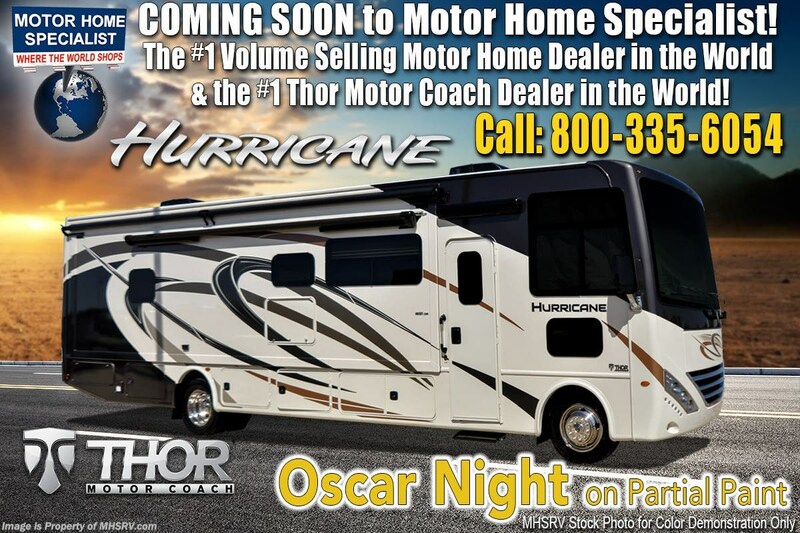 The Thor Motor Coach Hurricane RV also features a tinted one piece windshield, heated and enclosed underbelly, black tank flush, LED ceiling lighting, bedroom TV, LED running and marker lights, power driver's seat, power overhead loft, power patio awning with LED lighting, night shades, flush covered glass stovetop, refrigerator, microwave and much more. For more complete details on this unit and our entire inventory including brochures, window sticker, videos, photos, reviews & testimonials as well as additional information about Motor Home Specialist and our manufacturers please visit us at or call 800-335-6054. At Motor Home Specialist, we DO NOT charge any prep or orientation fees like you will find at other dealerships. All sale prices include a 200-point inspection, interior & exterior wash, detail service and a fully automated high-pressure rain booth test and coach wash that is a standout service unlike that of any other in the industry. You will also receive a thorough coach orientation with an MHSRV technician, an RV Starter's kit, a night stay in our delivery park featuring landscaped and covered pads with full hook-ups and much more! Read Thousands upon Thousands of 5-Star Reviews at and See What They Had to Say About Their Experience at Motor Home Specialist. WHY PAY MORE?... WHY SETTLE FOR LESS? 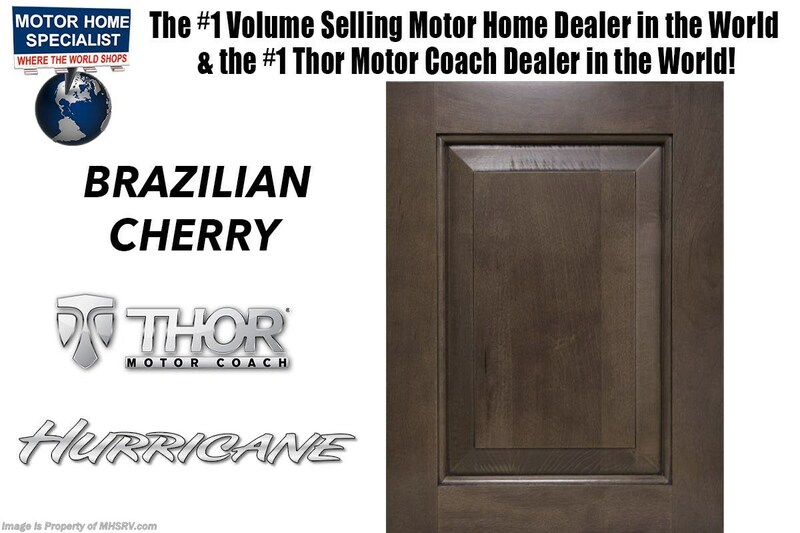 Check out Stock # MTH032009311 - 2020 Thor Motor Coach Hurricane 35M on thorrvsource.com!